Wallonia probably has the world's largest concentration of castles. The landscape of this region was once described by Ernest Hemingway as, "something out of a Grimm's fairytale." But it's no fairytale - it's Wallonia, also known as the Ardennes. 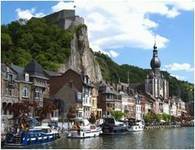 Wallonia is abundant in abbeys, citadels, parks and gardens, castles and culture. 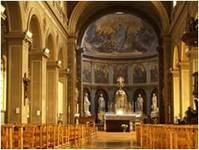 The historic towns of Wallonia bubble over with pretty squares, interesting battlefields, outdoor markets, museums and restaurants serving regional specialties such as country ham and Trappist beer brewed locally. 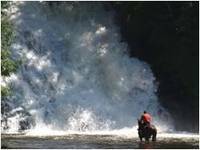 The countryside of Wallonia is composed of woodland, moors, vast fields cut off with hedges and grasslands, all dotted with springs, streams, waterfalls and lakes with the River Meuse as a bonus. Adventure is easy to find with hundreds of miles of signed pathways for walking and hiking, cliffs for climbing, streams for kayaking, greens for golfing and wide open skies for hot-air ballooning. Only a short distance from Brussels, Namur, the capital of Wallonia, is increasingly attracting attention. Around the city, a whole region of great charm is opening up to the world. Easily reached by road, air, rail or waterway, the heart of Namur is a pedestrian zone. Namur Citadel: This is one of the most impressive fortified towns in Europe. You can visit by tourist train or on foot with a guide and can penetrate the mystery of one of the biggest underground networks ever built by man, dubbed the "termites' nest of Europe" by Napoleon. The town of Liège sits proudly at the confluence of the rivers Meuse and Ourthe. 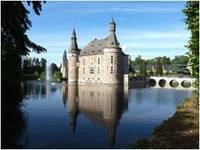 It boasts several historical monuments, including the famous Palace of Prince-Bishops. Visitors to the Fiery City of Liège often comment how much it reminds them of Rome. This is not surprising considering that the city is shaped by hills and criss-crossed by stairs and rising alleyways. Busy metropolis, prestigious arts centre  Liège is full of contrasts. This 2,000-year-old town likes to flatter itself with its origins which in turn led the town through very different eras. It's the city of the Kings: Childeric, Clovis, Philippe Auguste, Louis IX, Henry VIII, Charles V, Louis XIV, all of whom have left traces of their glorious or transitory reigns in its institutions and stones. Overshadowed by its monuments, the Cité des Cinq Clochers (the town of the five towers) welcomes and invites you to its many festivities, during which over and over again life pulses through this exceptional spot of Picardy on the borders of Belgium's Walloon provinces. rolling the dice at the amazing Spa Casino, or just getting a deep-tissue massage at one of the many spas, you will never be bored in this city. historic charm with modern conveniences. This makes Spa a perfect travel destination. Nestling in valleys, dominating ridges or straddling rivers, the villages of Wallonia await your visit. From one village to the next, you will appreciate the charm of our countryside, the flavours of our rustic cuisine, our warm welcome and a quality of life which makes Wallonia the ideal location for a day-trip, a weekend or a longer holiday.